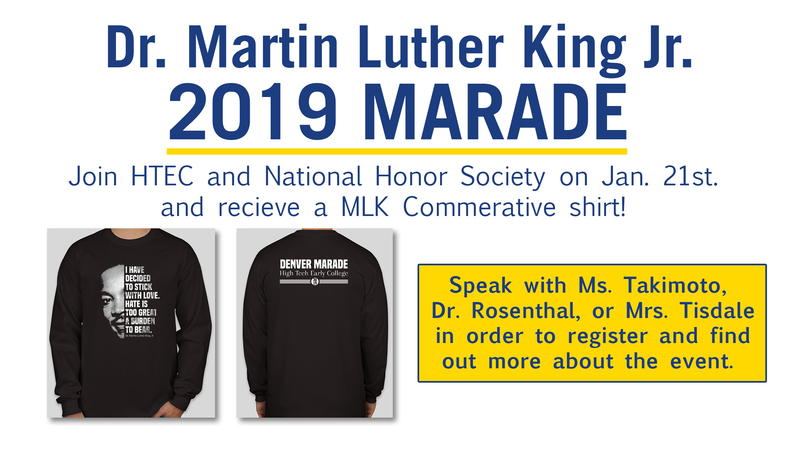 Students, don’t forget to register for the 2nd annual HTEC participation in the Dr. Martin Luther King Jr. Marade! Students will depart from HTEC by bus at 8:30 and leave downtown at 1:30 on the 21st. Participants will receive a commemorative shirt too! Register at the link below.